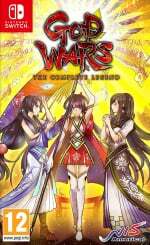 God Wars: The Complete Legend (NIS America, Tue 4th September, $39.99) GOD WARS The Complete Legend is a tactical RPG that explores the untold history of Japan through folklore and tactical combat. Discover the secret pasts and ultimate destinies of Kaguya and her friends inside the Labyrinth of Yomi. Read our God Wars: The Complete Legend review. 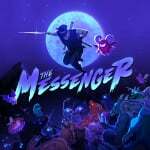 The Messenger (Devolver Digital, Today, $19.99) As a demon army besieges his village, a young ninja ventures through a cursed world, to deliver a scroll paramount to his clan’s survival. What begins as a classic action platformer soon unravels into an expansive time-travelling adventure full of thrills, surprises, and humor. 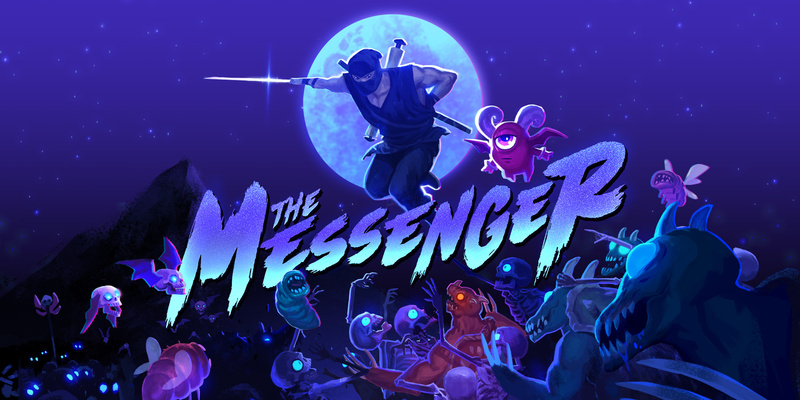 Read our The Messenger review. Into The Breach (Subset Games, Tue 28th August, $14.99) The remnants of human civilization are threatened by gigantic creatures breeding beneath the earth. You must control powerful mechs from the future to hold off this alien threat. Each attempt to save the world presents a new randomly generated challenge in this turn-based strategy game from the makers of FTL. 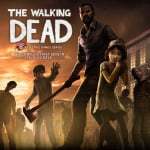 The Walking Dead: The Complete First Season (Telltale Games, $24.99) Play as Lee Everett, a convicted criminal, who has been given a second chance at life in a world devastated by the undead. With corpses returning to life and survivors stopping at nothing to maintain their own safety, protecting an orphaned girl named Clementine may offer him redemption. 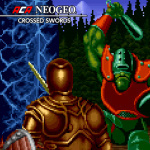 ACA NEOGEO CROSSED SWORDS (HAMSTER, Thu 23rd August, $7.99) In order to defeat the demon Nausizz, use Weapon Attacks, Magic Attacks, and your Defend ability as you make your way through seven intense stages. Up to two players can play simultaneously with the unique 3D perspective. Bloxiq (Blot Interactive, Thu 23rd August, $9.99) Bloxiq takes the classic concept of color matching and turns it on its head. You’ll need all of your wits as you try to solve 100 levels that will completely change your perspective on puzzle games. Easy to learn, fun to play and sometimes mind-bendingly difficult, bloxiq’s innovative mechanics make it the perfect game for people who love puzzle games that challenge your brain rather than your luck. Are you up to the challenge? 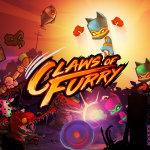 Claws of Furry (Terahard, Mon 3rd September, $9.99) Claws of Furry Claws of Furry creates a blend of today's fast paced action with classic arcade Beat'em up badassery. With four distinct environments with unique enemies, the challenge is always evolving. Multiple modes such as Rogue-like and Arena, and unlockable outfits with unique bonuses, will keep you coming back for more. 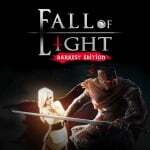 Fall of Light: Darkest Edition (Digerati, Today, $14.99) Fall of Light is a story-driven action RPG set within a world consumed by darkness. You are Nyx, an old warrior who has embarked on a dangerous journey with his daughter, Aether, an ‘indigo child’ who radiates luminescence. Only together will they be strong enough to complete their quest: reach the last place on Earth still touched by sunlight. Freedom Planet (XSEED Games, Today, $14.99) The planet Avalice has long known a tenuous peace thanks to the Kingdom Stone: an orb of unknown origin that outputs enough free energy to power every device in the world, seemingly without limit. 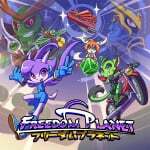 Read our Freedom Planet review. Haunted Dungeons: Hyakki Castle (Happinet, Today, $13.99) Form your party (a group of secret agents) from among four races: Human, Oni, Tengu, and Nekomata. Then conquer the terrifying and mysterious Yokai-filled castle! Mini Metro (Radial Games, Today, $9.99) In Mini Metro, you take on the task of designing the subway layout for a rapidly expanding city. Your city starts with three stations. Draw routes between these stations to connect them with subway lines. Commuters travel along your lines to get around the city as fast as they can. 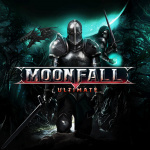 Moonfall Ultimate (Wales Interactive Ltd., Tue 4th September, $12.99) Moonfall Ultimate is a 2D side-scrolling, action-RPG, set in an industrial gothic universe. Hack, slash and cast your way through a treacherous hand-painted world in solo, couch co-op or endless arcade mode. 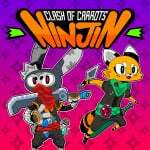 Ninjin: Clash of Carrots (Modus Games, Tue 4th September, $14.99) Ninjin: Clash of Carrots is an anime-inspired beat-'em-up with a gaggle of varied enemies, deep customization…and ninjas! Play through side-scrolling worlds consisting of multiple stages and collect carrots stolen by the evil Shogun Moe! Phantaruk (Forever Entertainment, Today, $4.99) For long has the humanity been constrained by limits of the human body. Most have accepted the imperfection of flesh, but some sought for liberation. To pursue the dream of creating a post­human being – to achieve ideas of transhumanism – is the driving force behind H+ Corporation. 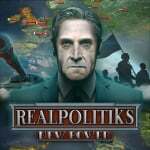 Realpolitiks (Forever Entertainment, Today, $24.99) This is complete edition consisting of the Base Game and the "New Power" DLC. Realpolitiks is a streamlined real-time grand strategy game that allows you to become the leader of any contemporary nation. Dive deep into the issues of the modern world, with its current geopolitical borders, using your country’s power and economic strength to engage in military conflicts and international affairs. Read our Realpolitiks review. Seasons of Heaven (Any Arts Production, Tue 4th September, $14.99) Action roguelike for 1-4 players with cute graphics, easy to pick up controls and deep game mechanics. Combine dozens of different weapons, magic items, potions and spells to beat 7 enemy factions and 24 bosses. Can you find the ancient artefact at the end of the dungeon? The VideoKid (Chorus Worldwide Games, Today, $4.99) It's the 1980's. The Kid needed to earn some cash to take his girlfriend out. So by delivering pirate videotapes to his customers and staying one step in front of the cops, he quickly became... The VideoKid. 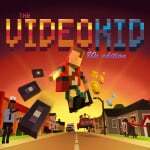 Read our The VideoKid review. 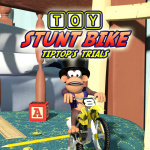 Toy Stunt Bike: Tiptop's Trials (Wobbly Tooth Games, Thu 23rd August, $4.99) Toy Stunt Bike is a 3D, action-packed, micro-sized motorbike trials game. Guide Tiptop the chimpanzee across thirty-six tracks set in a variety of household locations. My Nintendo September Rewards – Summer’s almost over, but that doesn’t mean the fun has to stop – head back to school with a New Nintendo 2DS XL system! With a huge library of games featuring Mario, Link and more classic characters, it’s just the thing to get through long bus rides or down time after school. My Nintendo September rewards help kick things off with discounts for up to 50 percent on Nintendo Selects games like The Legend of Zelda: A Link Between Worlds. Nintendo 2DS XL plays all Nintendo 3DS games in 2D only. Right off the bat: The Messenger and Into the Breach for me. I’ll check out the others... so many good games coming out this month and next! Next up is Undertale and Hyper Light Drifter! The Messenger and Into The Breach. Great week! Mini Metro looks fun too, and the trailer is goofy as hell, haha. @Alto Yo, we have the same taste, haha. This’ll be my third time buying Undertale (PC, PS4/Vita Cross-Buy, Switch), but I just love it so much. Why is the walking dead 25 bucks? This game was 20 brand spanking new. Now it's I don't know how old and more expensive. I really hope this doesn't sell as it's a load of poo. The pricing not the game. I already have the Messenger pre loaded! Also I might just try Freedom Planet. We'll see. Can't wait for Hyper Light Drifter and Undertale in the coming weeks (both of which I also pre loaded). There is nothing else to say except... The Messenger. The Messenger and Video Kid - $25 to secure what I’m sure will be many hours of entertainment. Ah, it’s good to be a gamer today, even better to own a Switch and, as always, great to be a Nintendo lifer... and NintendoLifer! My Nintendo September Rewards - one long paragraph trying to sell people on the 2DS and 1 Zelda discount. Woohoo? I bought 3 month old "Yokus Island Express" last night on sale for $11.99 from $19.99 so I'm good for awhile. Was nice to see a decent sale price on such a recent game. Nintendo won't let it's own games go on sale but it's good to at least see them let other companies put their games on sale on the Switch. @darthstuey a lot of indie games lately have included pre-purchase discounts. If you're definitely planning on picking one up, why not save a few bucks? 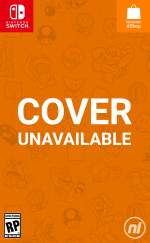 I read today that the eShop will be down for maintenance from 12-10pm est. Buy your games soon, or you’ll have to wait 10 hours. That doesn't sound like the Seasons of Heaven we saw nearly 2 years ago now.....?? More random budget stuff. September finally almost here with some big games to get back on track. Definitely going to get Haunted Dungeons. I’d love to pick up The Messenger at some point, but my backlog is too big right now. I’ll get The Messenger eventually but I’m out of space on my Switch after downloading Okami so I need an SD card next. Already have Freedom Planet paid for. Just waiting for it to be available to download! On a side note I just want to say that Yoku's island express is also on sale and it's amazing! Edit: Just getting the messenger now. Went a little crazy on play asia. I pre-ordered The Messenger, waited till 12 am last night and it did not work. I reset my system and checked the internet connection. Seems my e-shop is stuck on 8/29/2018. I've been trying all morning since 7 am and still can't play the game. The e-shop still shows the game in the "coming soon" section. I was hoping to get it to work before the e-shop maintenance starts. Is anybody else having this problem? @NinChocolate agreed with ACA games. I thought Touhou Azure Reflections was today as well? Anybody? Into the Breach is a must buy, amazing game. I really love those surprise drops Nintendo keeps pulling. I might also check out The Messenger at some point, but for now I am still in deep with Hollow Knight (which just feels gigantic to be honest, esp. with the added DLC and my ... more or less adequate skills to go on, admittedly^^). What's the point of the Deals Link ? It's not working. Can't you post the deals/sales here? I found a trailer for the Hyakki Castle game and it looks INSANE. Holy cow. Got Argus and Touhou Azure Reflections from the EU eShop, my Psyvariar Delta Sound Box Edition shipped and i'll preorder P-A's physical release of RXN -Raijin- later. I think there might be enough indie games to do a Humble Bundle now (though they do book bundles and curate their store more than anything nowadays). The Messenger for me this week. I also love Into the Breach on my pc. Interested to hear how good the Switch port is. Looks like THE MESSENGER and CROSSED SWORDS for me. is definitely not an action roguelike from what I've seen thus far, nor does it seem anywhere close to actually releasing. Not sure what game's name is supposed to be listed there, though. Sup w/Planet Alpha for Tuesday?? Decent week, but I think I'm holding off until Senran Kagura Reflexions releases. @DockEllisD thanks for the info! I'll be able to check it in about 10 minutes for Est then. Freedom Planet might be my pixelart breaking point. @MedusaMadman77 As in you're sick of the style? It's definitely overdone, but as long as a game is fun to play I can usually overlook that. After these pixel art games though I might try to stay away from any new retro inspired games for a while (except for Mega Man 11 which is retro inspired but just doesn't use pixels). Into the Breach with videokid & the messenger! Great Scot...err, week! I was trying to get The Messenger, but for some weird reason I can't find it in the eShop. I live in Mexico and we usually get everything at the same time as the US but it seems this game is an exception. Already pre-loaded The Messenger last night. @River3636 Played up to the first boss so far and this game is DOPE. Never played Freedom Planet before, so looking forward to that. Does Mini Metro have touch controls? Into the Breach is a good pickup. All I do is daydream about playing more. A few people have mentioned that Yoku is on sale. There's also a demo. It's a very charming, very nicely executed game. Quality buy. The Messenger is perfect. 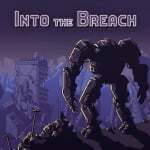 Waiting for some reviews of Into The Breach. @Giygas_95 Ya know. I think it's the actual muddiness of the pixels. So many pixel are games have come out recently, it's making Freedom Planet feel old to me. @MedusaMadman77 I don't find myself getting tired of it but that's probably because it's one of my favorite styles, and I play a lot of non pixel games as well. Wha-? No 3DS love? What a shame, Nintendo. Abandoned the 3DS and 2DS users again, I see... This is why I now play Xbox and barely pick up my 3DS or 2DS anymore. @Fake-E-Lee It looks so good I am downloading it right now. If i wasn't so deep in hollow knight right now i'd have messenger downloaded.. ahh Maybe next week my ninja gaiden looking freind. Edit: axiom verge on sale for 10$ in NA.. I may pick this up too! The Walking Dead for me. Looking forward to playing through the whole series on one device. I could have picked up the final season on Steam, where I played seasons 1 and 2, but I prefer to play everything on Switch that I can these days. And unlike a certain Alex, it's not my job. I just prefer it. @Al_Godoy Change country on accounts.nintendo.com to US and put it on your wishlist on the eShop. Switch back to Mexico and it will be available to buy in your eShop wishlist. You guys left out Football Frenzy which hit today! Being we have no American football on the Switch besides 10-yard fight and EA apparently not going to give us Madden, I figured it’s worth a mention! Good ole Hamster!! @River3636 Yeah, it's absolutely amazing, I'm irrationally stoked for when I get to the 16 bit stuff. @whanvee The Walking Dead Complete First Season on Ps4 and Xbox One are also $24.99 they are the remastered versions and include the 400 days DLC. @whanvee What are you talking about it's the same exact game as the ps4 and xbox one version. And it includes the 400 Days DLC. Here is a 20 minute video of the Switch version that some one upload to youtube. I guess it does come with it. I hadn't found any info on it having the 400 days dlc. I have only found it for 20 bucks. I can't seem to find any place that charges 25. Though I'll admit I haven't looked too hard. FYI: Ninjin: Clash of Carrots is INSANELY FUN. Tons of weapons & customization, lots of levels, a super fun endless mode, great art style, goofy humor, and it all feels like some sort of weird beat-em-up/shooter hybrid and I'm absolutely HOOKED. One of my favorite purchases in the past few months in fact, something about it lines up perfectly with the style of gameplay I love.